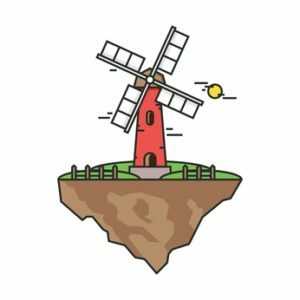 Dave Scott Blog Flying island with a windmill. Farmer building for the production of flour or grain processing. Illustration in flat linear style. Vector, EPS10. Flying island with a windmill. Farmer building for the production of flour or grain processing. Illustration in flat linear style. Vector, EPS10.